Customers interact with service five times more than sales. 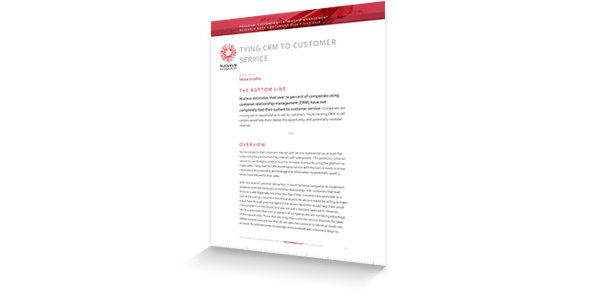 Tying CRM to service empowers agents with critical customer information. 80% of customers would be willing to buy from a service agent. Empowered agents plus willing customers can generate greater upsell.